Rumors have been circulating for a few months that The CW was considering another Arrow spinoff, with some people assuming that it would focus on Brandon Routh’s Ray Palmer/The Atom. Well, according to Deadline, they were right. Well, not really. But sort of! Rather than a boring spinoff that only focuses on one superhero—since The CW already has two of those—it’s developing a crazy spinoff that focuses on every superhero from both Arrow and The Flash. Deadline‘s report says the new drama series will feature not only Brandon Routh’s Ray Palmer, but also Victor Garber’s half of Firestorm (and probably Robbie Amell’s half of Firestorm), Wentworth Miller’s Captain Cold (even though he’s a bad guy), and—best of all, for Arrow fans—Caity Lotz. That last one is a little confusing, since Lotz’s character died, but it is a comic book show. We won’t bother poking at it too hard. Additionally, Deadline says more characters from Arrow and The Flash could show up, but nothing is set in stone yet since it’s so early in development. The most exciting part, however, is that “three major DC Comics characters who have never appeared in a TV series” will be a part of it as well. Presumably, that doesn’t count DC’s various cartoons over the years, because those all scraped the bottom of the superhero barrel pretty well. If cartoons don’t count, then we’re crossing our fingers that the three characters are The Question, The Question, and maybe The Question. 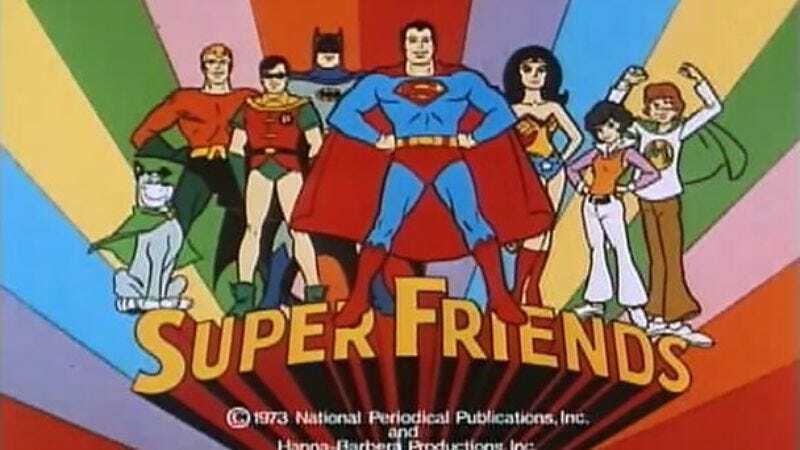 The project comes from Arrow creators Greg Berlanti, Andrew Kreisberg, and Marc Guggenheim, and it’s being described as “a superhero team-up show.” We’re not sure what that means, exactly, but we’re hoping they give it a badass name like The All-New Super Friends Hour or Challenge Of The Super Friends. Deadline also says that it won’t be a part of the normal pilot schedule, and since there’s so many CW-friendly people already on board, it might go straight to series and possibly premiere next midseason.